Make your very own pizza pies with help from the Deluxe Italian Pizza Peel Set that includes one larger peel and one small peel (for turning food during cooking). Imported straight from Italy, the set also includes a wire cleaning brush. 1 Year against any Manufacturer defects. Create delicious authentic Italian pizza at home with the Leo Pizza Set. The high-quality ceramic pizza stone holds and distributes heat evenly while absorbing moisture from the dough which results in crusty perfection. The dual function pizza slicer with built-in grater lets you slice thick or thin crust easily or add extra cheese for topping perfection. The natural bamboo shovel slides under your pizza pie for easy oven-to-table serving that can also be used as a cutting/serving board. GrillPro is committed to providing its customers with the latest products in the grilling accessory market. 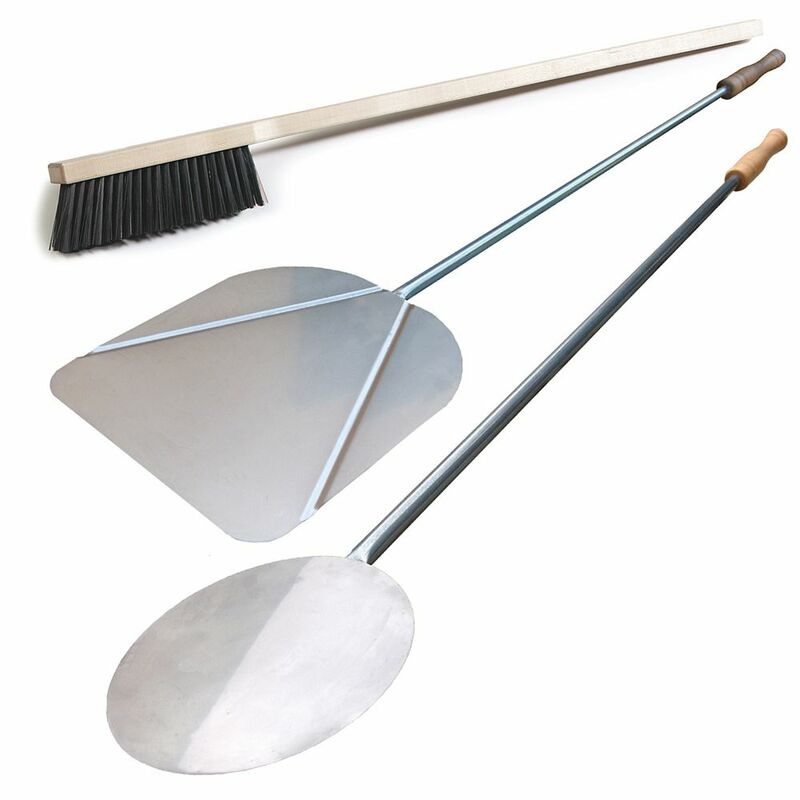 GrillPros stainless steel 3 piece bbq tool set includes a turner, tong, and silicone basting brush. You have the choice of three colour options: red, blue and green. Perfect for marinating something delicious, or mixing up batter for pancakes, this multi-purpose Marinating Bowl Set is the perfect addition to any kitchen and grilling station. These nesting bowls have airtight lids to preserve food freshness, making them great for potluck meals and storage too. Thanks to their silicone base you don't have to worry about these Marinating Bowls sliding around on your counter while vigorously mixing. Hold things steady and pour evenly using the built in handles too. What will you make with your 3 Piece Marinating Bowl Set? 3-Piece Deluxe Italian Pizza Peel Set Make your very own pizza pies with help from the Deluxe Italian Pizza Peel Set that includes one larger peel and one small peel (for turning food during cooking). Imported straight from Italy, the set also includes a wire cleaning brush.